Greetings fantastic readers. Today I have the pleasure of interviewing the fun and spunky author Tracie Banister. So glad you could join us for our #fridayguestinterview! Welcome Tracie, let’s start with a brief introduction. Thanks so much for having me on The Writing Piazza, Kara! 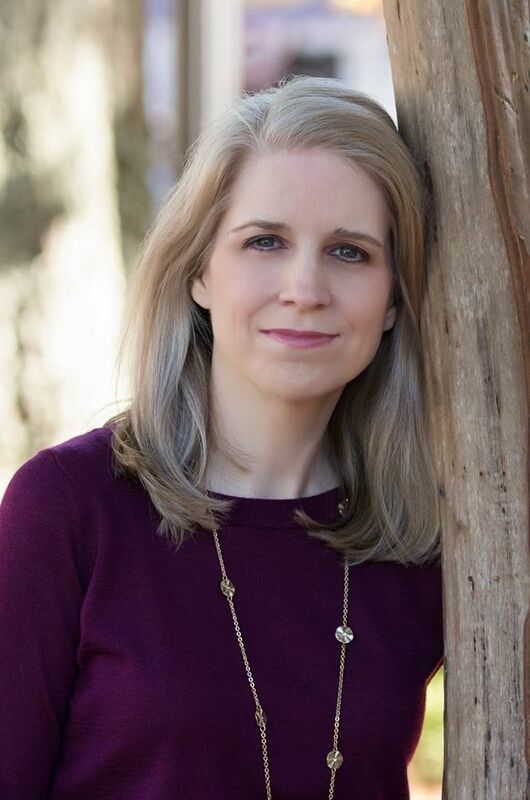 My name is Tracie Banister, and I’m an author of three Chick Lit novels, along with being a blogger, TV addict, and dog lover. I live in the suburbs of Atlanta, with my three Cocker Spaniels who range in age from one to thirteen. You’ve certainly got a lot going on! I’ve written my own Chick Lit book, it’s such a fun genre to write in. Can you tell us a bit about your latest book? My most recent release, Twin Piques, chronicles a critical few months in the lives of sisters Sloane and Willa Tobin. They’re identical twins, but polar opposites in every way. Sloane’s a hyper-intelligent, sharp-tongued forensic accountant who’s focused on getting a promotion at work while Willa is a sweet, kooky pet psychic who’s on a search for true love. How the two of them help (and sometimes hinder) each other from reaching their goals and finding happiness is the core of the story. 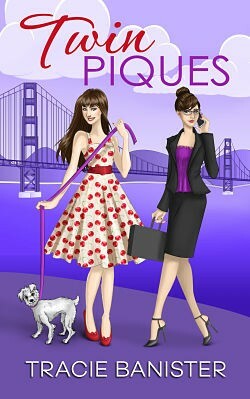 There’s comedy, romance, cute guys, and even cuter dogs in Twin Piques! I’ve been so pleased with the response to Twin Piques. The book was a finalist in both the 2015 National Indie Excellence Awards and the 2015 Readers’ Favorite Book Awards, and it was just named to the 2015 Favorites lists of three fabulous blogs, Chick Lit Central, Chick Lit Plus, and One Book at a Time. Author’s Note: Twin Piques is intended for a mature audience and is mildly spicy as far as language/love scenes go. Who is the publisher for your books? How did you choose to go that route? I was very fortunate in that I got offers of representation from two well-respected New York agents for my first novel. The agent I chose to go with was very high on my book and was sure she’d have no trouble finding a home for it. This was about 10 years ago when publishers had a glut of Chick Lit and were declaring the genre “dead,” so my agent had no luck with publishers. I went on to write two more books, both of which I queried agents and publishers about, and I got nothing but positive feedback, but nobody wanted anything to do with humorous fiction for women. I was actually told more than once that I was “wasting” my talent and should switch genres! Since I wasn’t interested in writing novels about vampires, which were the hot thing at the time, I decided to go the indie route with my books and I’m so glad I did! Now I’m getting my stories into readers’ hands and I love having control over all aspects of my work. Wow, that’s fascinating! It’s interesting to look back and see the predictions people were making in the publishing world and now fast-forward to today and see how those predictions turned out. My righteous indignation always rises up when people are told they should move on from their goals or dreams and of course I love hearing the stories of people who didn’t give up and are now successful, like you! I know both paths (traditional and self-publishing) both have their pros and cons, let’s talk about the pros of self-pubbing first. What did you like about being a self-published author? I just really enjoy every step of the publishing process, from research to writing the novel to working with my cover artist, and I’ve learned so much along the way! And how about the cons, what’s something you just don’t like about self-publishing? Sometimes it can be a bit overwhelming having to do it all. I often say that I wish I could clone myself so that there could be a Writing Tracie and a Marketing Tracie because those are both full-time jobs. But for the most part, I think I do all right balancing the two. That would be awesome, though I think I’d want three clones and one could be the Boring Kara and I’d make her do all the stuff that bores me to tears. Haha! I think one of the hardest parts of writing a book is coming up with an idea that’s good enough to write a whole book around. Where do you get your ideas for your books? I get ideas everywhere – from friends, family, the Internet, TV, magazines. I never know what will provide a springboard for my imagination. There is a little bit of me and my life experiences in every story I write – these can show up in character quirks, places I’ve visited, or relationship dynamics. For example, I’ve always been curious about what goes on in my dogs’ heads, so I thought it would be fun to explore that with a character who’s a pet psychic and that’s how Willa in Twin Piques was born. That’s awesome! I wonder what animals think too! I thought about becoming an animal behaviorist for the longest time due to this obsession. But I think that’s such a great incorporation for your book, I love all the different times real life finds its way into writing in unexpected ways. I’m both a plotter and a pantser. I would sooner walk into traffic than write an outline; I loathe the things. However, I have been known to use dry erase boards and copious amounts of neon-colored Post-its to help me figure out the chronology of a book and how different plots/characters intersect. I always know the beginnings and endings of my books and I write very detailed character bios before I ever start work on a story. Then, I set the characters down on the page and let them play. They’re very good at leading me where they need to go and I find that my stories unfold in a much more organic way when I use this method rather than plotting out every little detail in advance. I always say that the best bits in all of my books are the surprises, not the things I planned. I know you mentioned that marketing has been a full time job for you, can you go into that a little more in-depth for us? It’s a lot of trial and error to see what works and what doesn’t, and that differs from author to author. 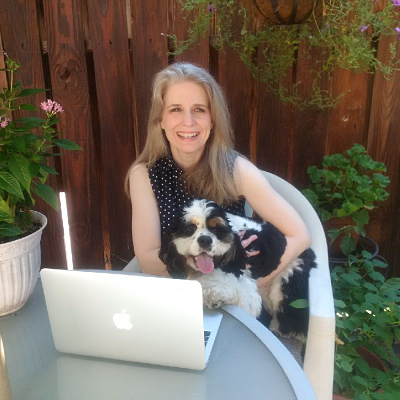 I’ve found social media, especially Twitter and Facebook, to be very helpful in helping me to connect with potential readers, but I caution any author who’s using those venues to limit your promo to once or twice a day. People will just tune you out if you’re blasting “Buy my book!” all the time. Better to tweet/post about a variety of subjects and actually have conversations with your followers. When I published my first book four years ago, regular blogging was a must, but the big thing now is having an author newsletter, with fresh content and “inside info.” I debuted my author newsletter “The Banister Buzz” http://eepurl.com/by0VAv a few months ago and I’m having a lot of fun with it. So, so true! I get super annoyed at the accounts that only blast the buy my book messages all day every day. Those are the ones that get ignored or if they’re really bad I block them. You really have to build relationships with people, be social, that’s the key to social media. It takes time and effort but it won’t work otherwise. I also like to pick my interviewees brains for writing advice while I have them captive in my interview, muwahaha. Do you have any advice to give to writers who are writing and/or attempting to publish their work? Investigate all publishing avenues (traditional publisher, boutique publisher, indie publishing) and see what kind of response you get and what feels right to you. If you do decide to go the indie route, be prepared to spend money on editing, professional cover art, and formatting. It’s important that your book look as polished and professional as if it was released through one of The Big Six (traditional pubs). That’s some good stuff right there. It’s hard for indie authors to get reviewers to even look at their stuff and that’s because so many people put sub-par quality books out there. You have to be willing to shell out some dough to polish up your work if you want to be taken seriously as a self-published author. Now as we wrap things up, I can’t let you leave without asking, are you currently working on another book? Of course! I don’t like to reveal too much about my books while I’m working on them, because things are subject to change. However, I can say this about Book 4 – the story is set in New York City and involves a pair of antagonistic chefs who are forced to work together in a very public venue. There’s a love triangle (actually, a quadrangle), a very colorful and unique group of supporting characters (some friend, some foe to the heroine), and lots of scrumptious food. (If I could cook any of these amazing dishes myself, I would have already gained twenty pounds writing this book!). I’m about three-quarters of the way through my first draft of the story and am hoping <crossing fingers> to release it this spring. Excellent! How about any upcoming events, do you have any of those in the near future? I’m not sure of the specifics yet, but I will definitely be participating in several fun events in February for Valentine’s Day. So, stay tuned and keep an eye on my blog and Twitter feed for more details! Here are the links for those, for everyone who is interested. Tracie, thank you so much for your time and for being a guest on my blog! And on behalf of Tracie and myself, we want to thank all you fabulous readers for joining us today. If you’d like to catch up on some of the other interviews we’ve done, you can check those out Here. I hope you have a phenomenal day and come back real soon.